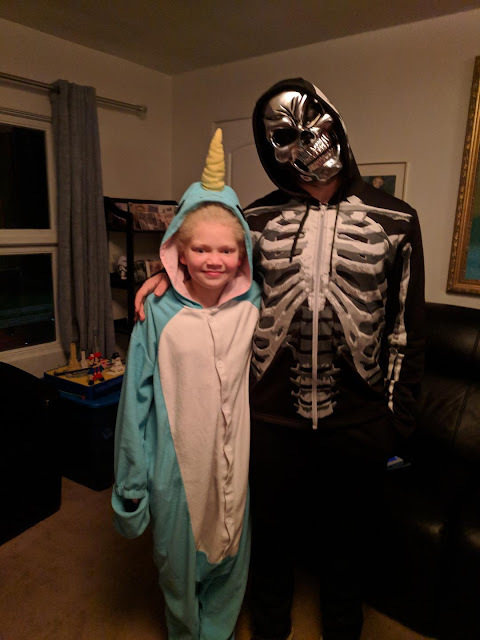 I decided to opt out of using the theme this week. 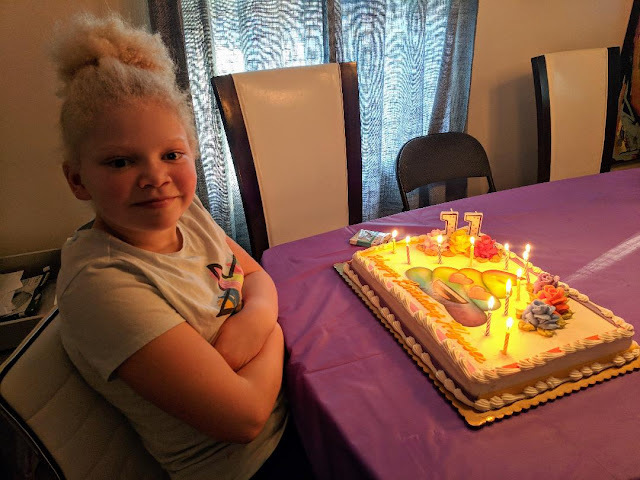 This post is regarding another Barbados cousin of mine. A couple of weeks ago I did a post on a Herbert Cheeseman. If you missed that post, here's the link: 52 Ancestors 2015 Edition: #19 Herbert Cheeseman --There's A Way. 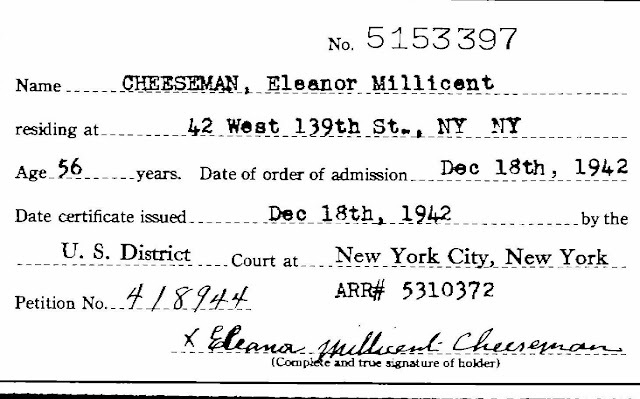 Eleanor Milliscent Cheeseman was Herbert Cheeseman's sister and my 1st cousin 2x removed. 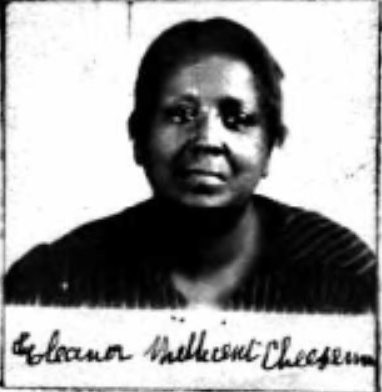 Eleanor Milliscent Cheeseman was born on August 6, 1886 in Bridgetown, Barbados based on information from her naturalization records. Eleanor arrived in the U.S. on June 12, 1923 on the ship the SS Vandyck. 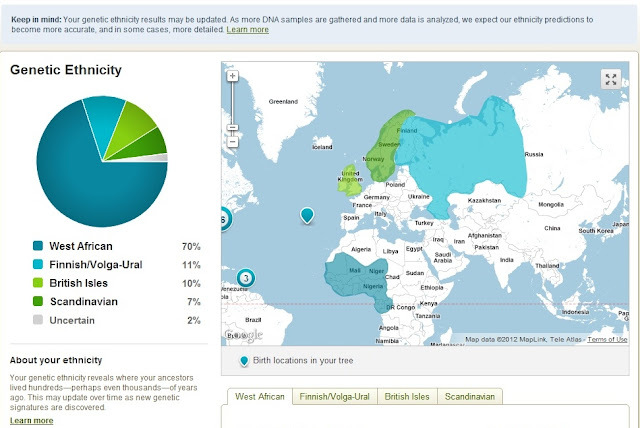 Image courtesy of Ancestry.com. Passenger Ships and Images [database on-line]. Provo, UT, USA: Ancestry.com Operations Inc, 2007. Original data: Various maritime reference sources. She had developed the skills of a dressmaker in Barbados and apparently came to the U.S in search of work. 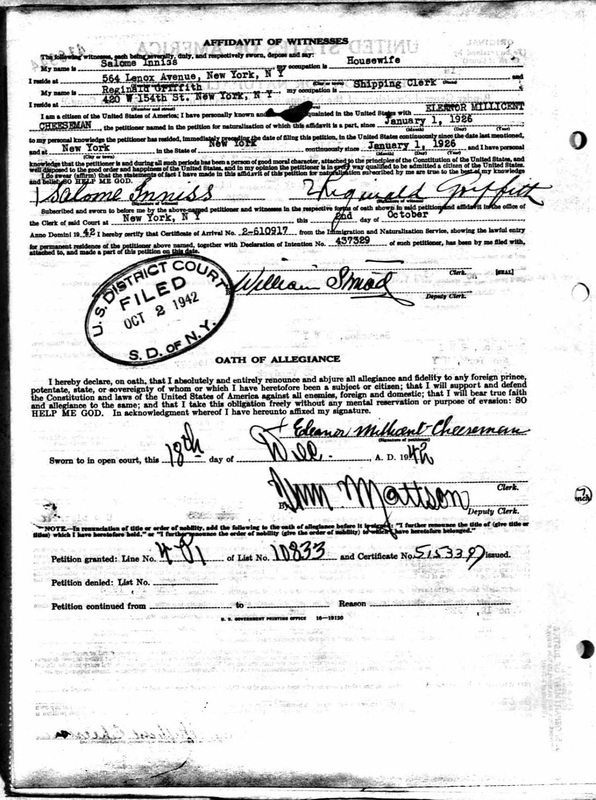 The 1940 Federal Census shows she was living with her younger brother Herbert at the time. Her occupation was listed as a "finisher" in a dress factory. I can't help but wonder, what sorts of dresses she worked on. Her eyes in the photograph above look tired but kind. Source InformationAncestry.com. 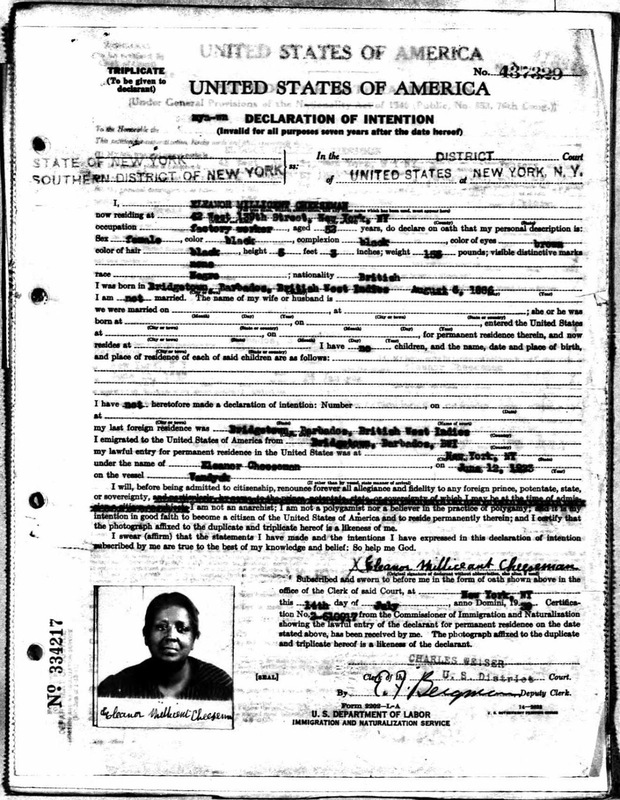 New York, Index to Petitions for Naturalization filed in New York City, 1792-1989 [database on-line]. Provo, UT, USA: Ancestry.com Operations, Inc., 2007. 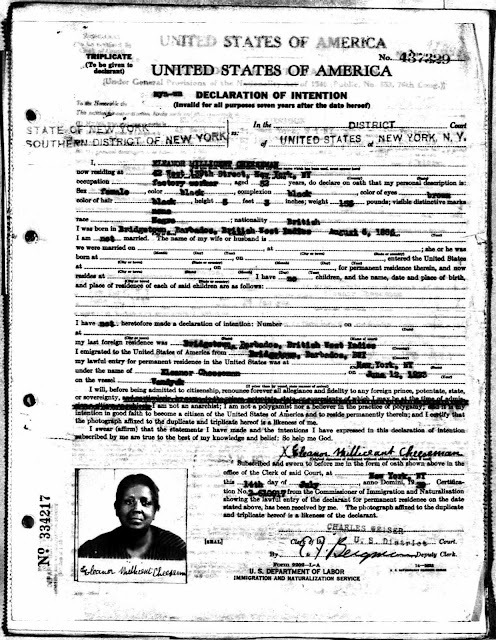 Original data: Soundex Index to Petitions for Naturalization filed in Federal, State, and Local Courts located in New York City, 1792-1989. New York, NY, USA: The National Archives at New York City. 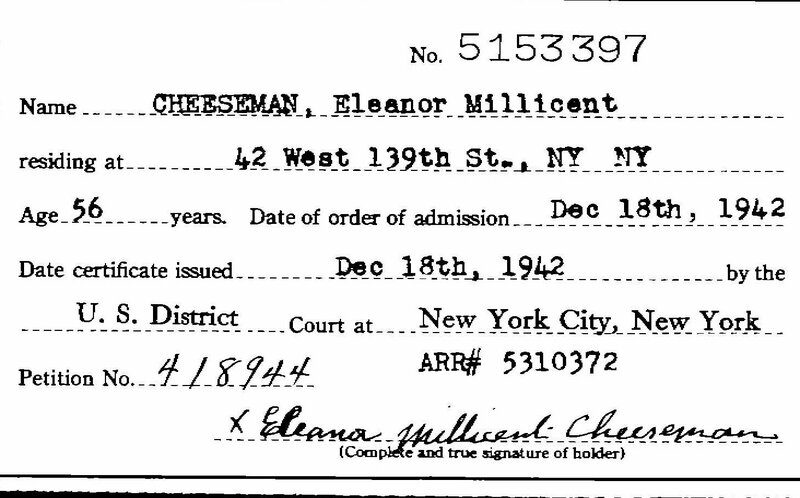 At the age of 56, Eleanor became a U.S. citizen on December 18, 1942. I would think my paternal grandfather Harold Murrell knew and had a relationship with Eleanor since he had lived with Eleanor's younger brother Herbert back in 1930. 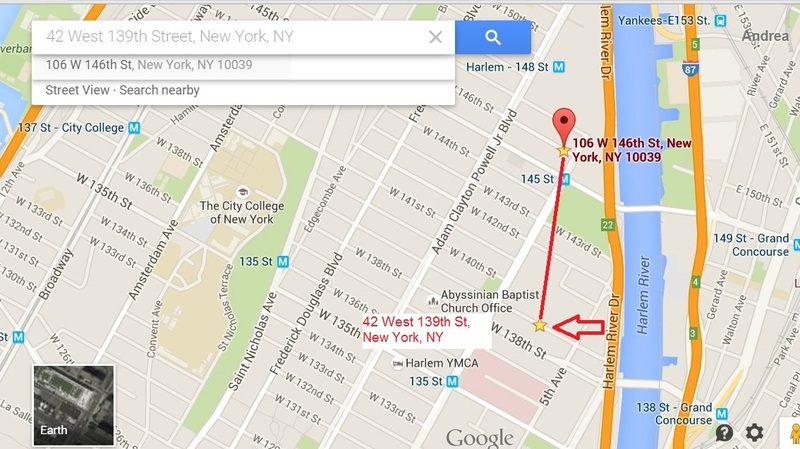 In 1940, Harold, his wife Ethel, and their little girl, Janice resided at 106 west 146th Street, NY, NY. I decided to plot out the distance between the Murrell household and the Cheeseman household on a map. Yes, I would think that they would have kept up with one another. By 1943, the Murrells were living in the Bronx, probably making it harder for these cousins to stay in touch.